Ok everybody I recently purchased two Latitude E5540's for my computer repair business. (I'm now A+ Certified yay!) 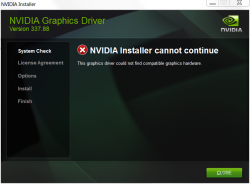 So anyway's I'm trying to ge tthe drivers all updated and no matter what I try the Driver for the GTX 720m software wont install. Bellow are screen shots from when the install fails. 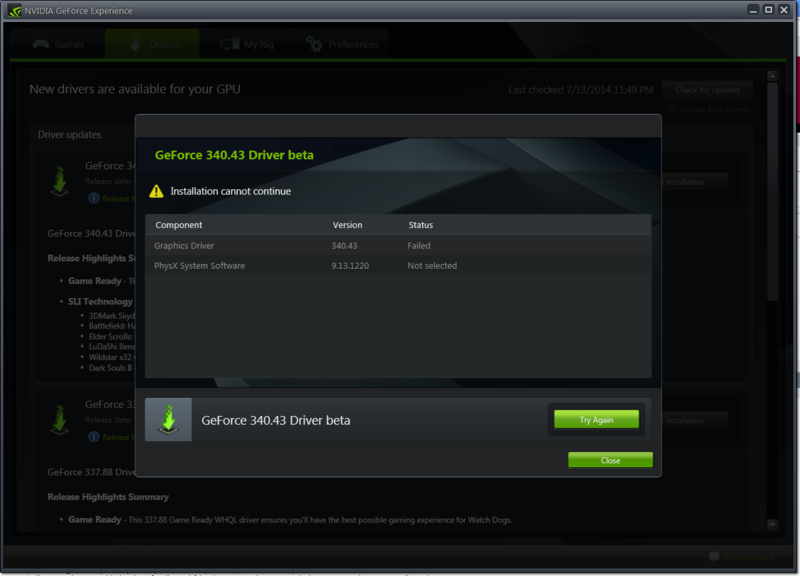 Make sure this is the proper driver for your card, if it is uninstall all NVidia software from your pc, use driver fusion and remove everything to do with NVidia, you can use safe mode if you want. 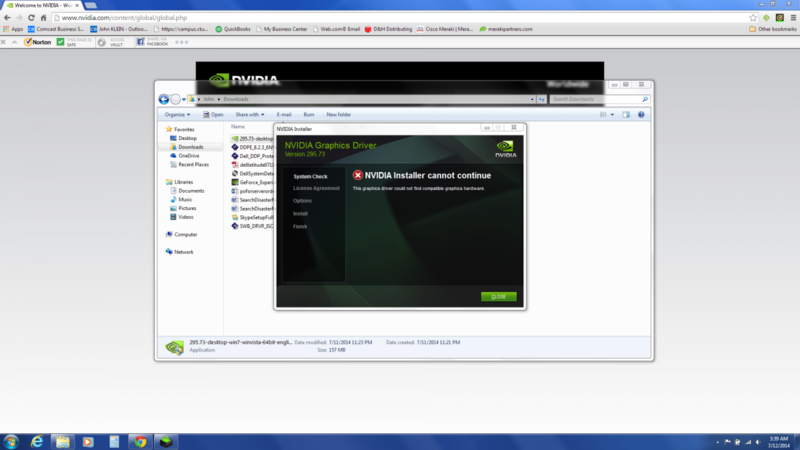 Then reinstall the driver and include PhysX ,etc, you can remove anything you don't want later. 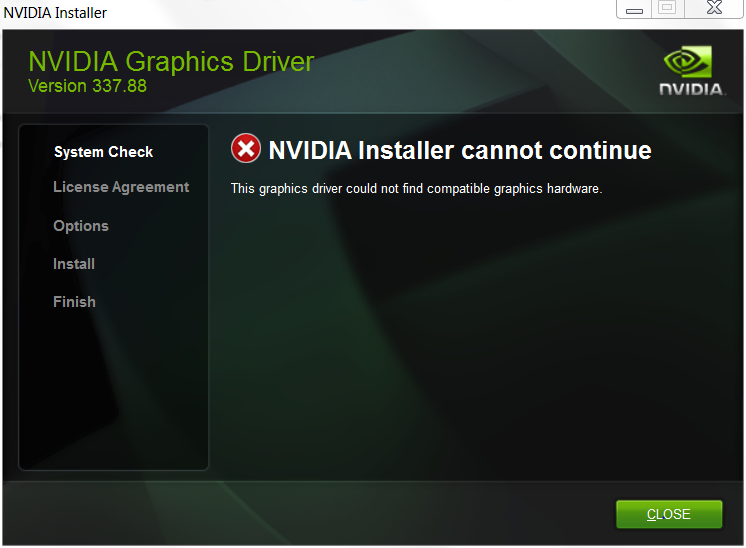 I would use the last approved driver, not a beta and see if that works. 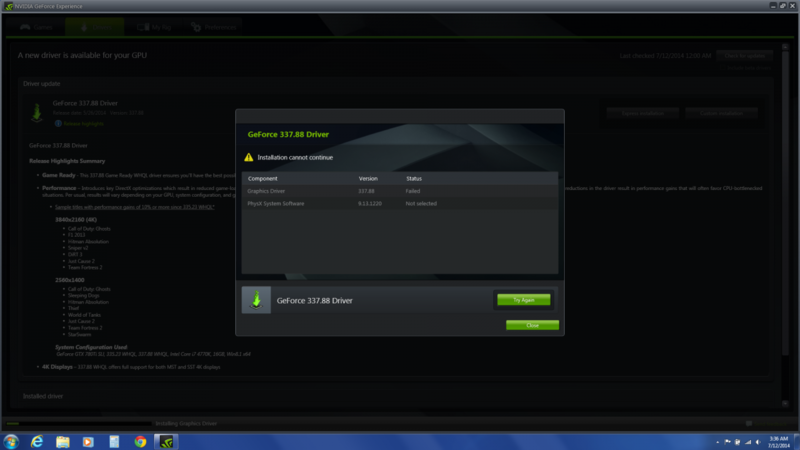 Ok used driver fusion cleaned out the drivers physx and also ran cc cleaner and cleaned out the registry temp files and download file just to be safe and now it cant find the hardware as the picture states. Did you download the notebook driver?